Bengaluru: They Hung Bhagat Singh, but he never died, He lives on to inspire the millions of youth of India. 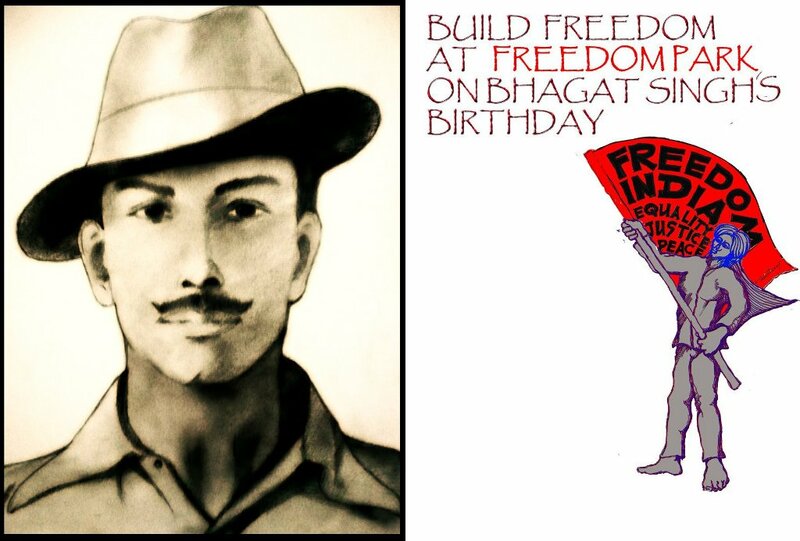 The true dream hero, icon of India’s FREEDOM. The National Drivers Union of India with thousands of members across the country, along with Sculptor John Devaraj propose to build a monumental tribute to Shaheed Bhagat Singh. The unique monument will involve hundreds of youth, bureaucrats, patriotic citizens , dignitaries, celebrities who will add a trowel of cement on the sculpture and contribute to creating this powerful image. The activity is to enlighten the youth and empower them, motivate and inspire to work for India said Mr. Gandasi Sadananda Swamy, President, The National Drivers Union of India. The sculptural activity will be held at FREEDOM park commencing from 28th September 2017 at 11am celebrating Bhagath Singhs Birthday until 2nd October 2017, Mahatma Gandhi’s Birthday. The first trowel of Cement will be done by Mr. HT. Sangliana, The Iconic Police Man. Appealing all the citizens kindly Grace the occasion and start the building processes with the first trowel of Cement, sing a song. Play music. Read a poem. Enjoy all creative expressions on FREEDOM at FRERDOM PARK and build the youth icon of India. Be a part bring along artist friends.